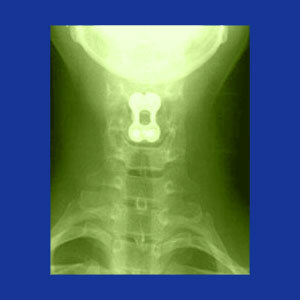 Anterior cervical fusion is a spondylodesis procedure that is preformed using incisions in the front and side of the neck, rather than on the dorsal surface. Although we are notoriously anti-fusion in ideology, we do recognize the many advantages of anterior procedural techniques when contrasted against traditional dorsal incision placement. Anterior spinal surgery has become normal and is now the gold standard for many procedures and practices in the operating room. The advancement of anterior spinal surgical techniques has helped patients to enjoy improved postoperative outcomes, suffer fewer risks and complications, as well as experience shorter and more comfortable recovery journeys. This focused essay delves into the advantages and drawbacks of anterior spinal fusion surgeries in the neck. We will explain what differentiates anterior from posterior procedures and provide a look at what the future holds for patients who require spinal fusion somewhere down their treatment timeline. 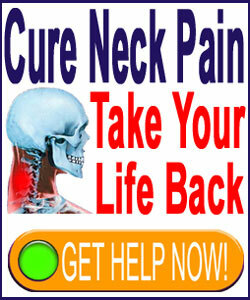 The anterior neck surgery approach is now being used with most spinal procedures. This technique involves the utilization of incisions in the front or side flank of the body, rather than in the traditional location over the spine on the dorsal anatomy. Anterior approach spinal surgery relinquishes the use of a singular large and long dorsal incision in favor of multiple small anterior incisions. When discussing cervical spinal fusion, the incisions are placed on the side of the neck, in front of the ear on the anterior surface of the body. Depending on the nature of the procedure, and the specifics of the patient’s condition, between 1 and 3 small incisions are generally used, although specific circumstances might warrant more, if necessary. The incisions used are smaller and facilitate the utilization of endoscopic and laparoscopic technologies to access and visualize the spine. These incisions will heal faster and leave smaller scars than traditional dorsal incisions. Anterior incisions do not require the extensive muscular dissection that is inherent to dorsal incision placement. It is possible to simply move the soft tissues aside when treating the spine from the anterior approach. Muscular dissection extends the recuperation period significantly and causes considerably more postoperative pain. Therefore, anterior incisions facilitate faster recovery time with less pain and decreased need for dangerous pain management medications following surgery. Anterior incisions provide for greater postoperative comfort, since the patients will not be forced to lie down on them, such is the case with dorsal incisions. Currently, the purely anterior spondylodesis approach is not available for all patients and all conditions which require fusion surgery. Some patients still require the use of purely dorsal incision placement, while others might require a combined approach of dorsal and anterior fusion techniques to be used together. The future development is moving quickly towards the end of dorsal fusion for all but the most extreme patient profiles where the spine truly needs to be directly visualized. Anterior-only fusion is the direction of the future and we expect that the anterior approach will be indicated for a growing list of difficult to treat spinal pathologies as time goes by.